Dr. Beckwith is a sought after meditation teacher, conference speaker, and seminar leader on the Life Visioning Process™. Three of his most recent books—Life Visioning, Spiritual Liberation, and TranscenDance Expanded are recipients of the prestigious Nautilus Award. 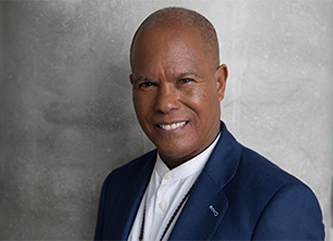 He has appeared on the Oprah Winfrey Network’s SuperSoul Sunday, SuperSoul Sessions, and Help Desk; Dr. Oz; CNN, The Oprah Show; Larry King Live; Tavis Smiley; and in his own PBS Special, The Answer Is You and is a member of Oprah’s prestigious inaugural SuperSoul 100. Every Friday at 1pm PST, thousands tune into his radio show on KPFK, WAKE UP! The Sound of Transformation.